JTS always runs ahead of Technology and our products are based on Latest Technology and Industry Standards. Our cutting edge products and smart customer care have beed designed to provide one stop solution for all your IT needs. Our AMC program has been designed to guarantee ‘Business as Usual’; without the worries and fear of software failure. Apart from protecting your business against software failure, we assure you that we will leave no stone unturned in fulfilling your software requirements. 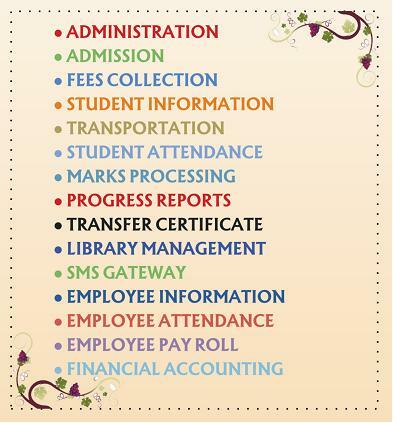 EduCute is an Academic Information System for Educational Institutions like schools and colleges. It will help you to computerise the activities of your institution. EduCute has following modules. 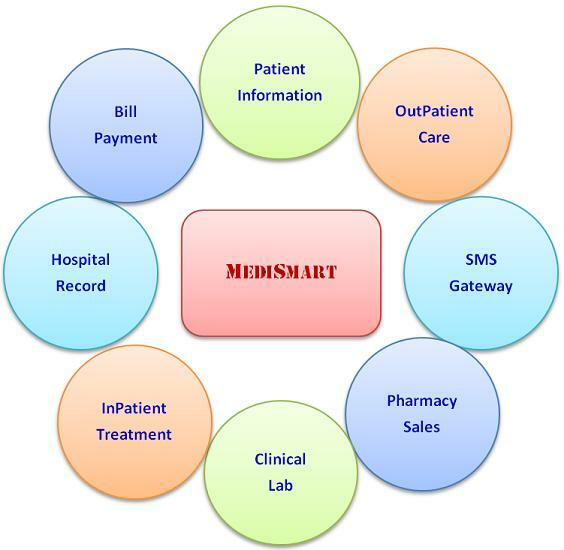 MediSmart is an Hospital Management System for Multi Specialty Hospitals and Clinics. It will help you to computerise the activities of your business. MediSmart has following modules. MediSmart has been designed in a structured way so that the modules are easy for use and have well defined functionalities. The User Interface has been designed with utmost care so that people can jump start using it without prior training. MediSmart comes with an online help so that users can quickly refer to the help topics without the need to use books or manuals. Tooltips and context sensitive help are provided for each option and that makes it highly user friendly.